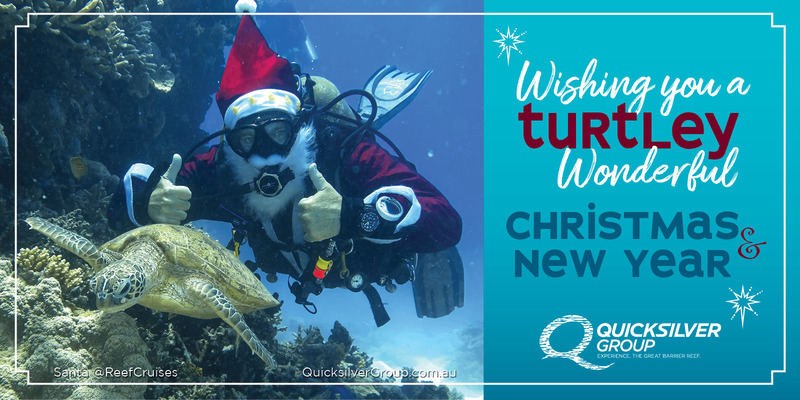 As we head into our Summer months, it’s been a busy time for the Quicksilver Group and an exciting time on the wonderful Great Barrier Reef. 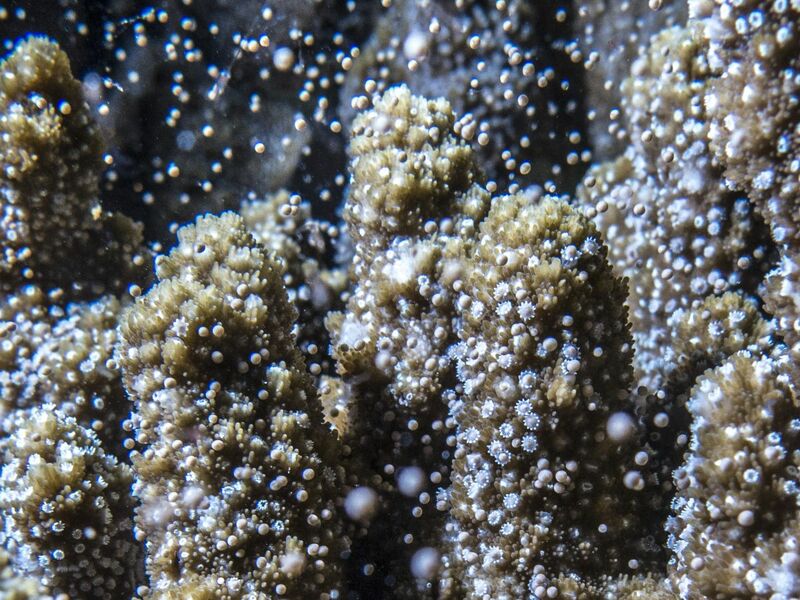 Mother Nature has been putting on quite a show with not one, but two mass coral spawning events in the past month ensuring the continued rejuvenation of our World Heritage wonder. We've seen construction commence on our Quicksilver Dive training centre in Port Douglas, the opening of the 17th Cairns and Great Barrier Reef experience shop in China and we're delighted to report as always, our passengers are continuing to see and experience the wonders of the Great Barrier Reef - check out some awesome Agincourt Reef vision in this issue. 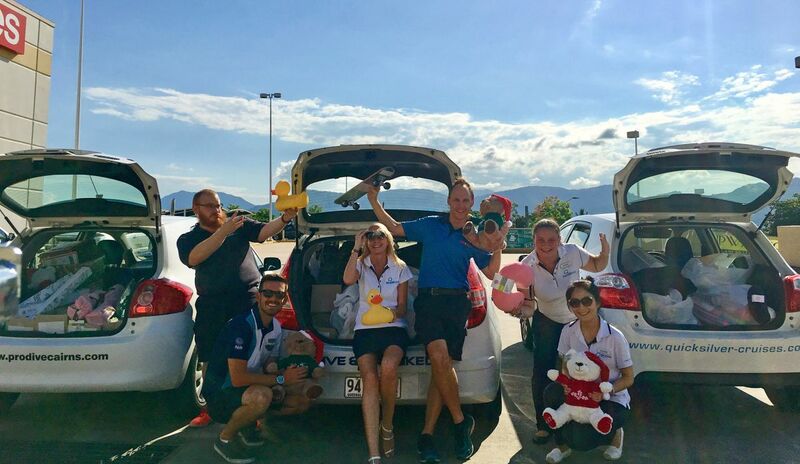 In the spirit of the season our staff and local tourism community have opened up their hearts for our 14th annual Quicksilver Group Christmas Charity Appeal, assisting local charities to make this a more enjoyable time for those less fortunate in our community. As the year draws to a close, we'd like to take this opportunity to wish you a very Merry Christmas, safe festive season and a prosperous 2018. Corals by candlelight - coral spawning on the Great Barrier Reef! Let it snow, let it snow let it snow! With the romance of the full moon, night diving and an "upside down snow storm" timed with the festive season, it was certainly Corals by Candlelight on the Great Barrier Reef! 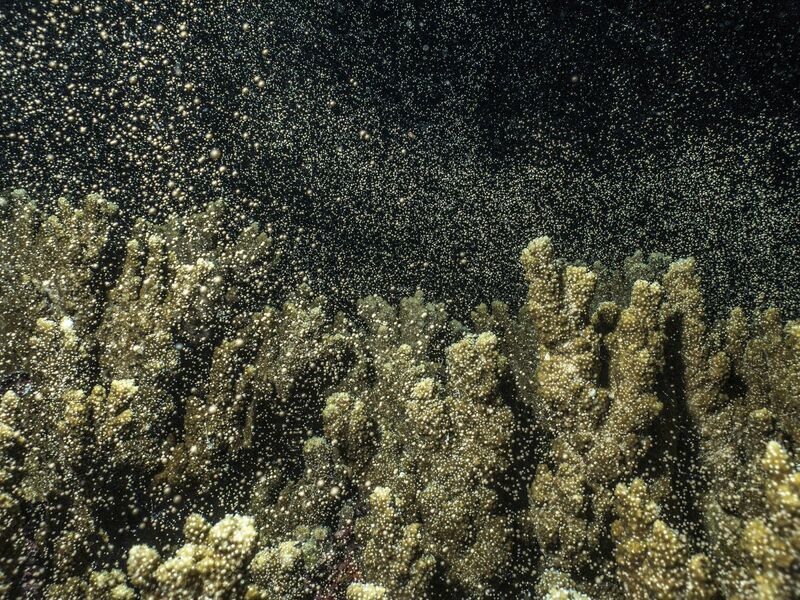 Normally an annual event, this year due to timing of the full moons, dual coral spawning events occurred in early November and December. Coral spawning is Mother Nature’s way of replenishing and maintaining a consistently robust coral gene pool. On many divers’ “bucket lists”, guests aboard Pro Dive Cairns liveaboard trips were able to witness one of the most spectacular events on the Great Barrier Reef during exciting night dives. 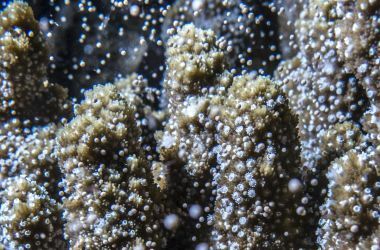 While corals reproduce asexually with budding or cloning, for the annual spawning or sexual reproduction to occur, a variety of factors come in to play. We know the moon cycle and specific water temperatures (greater than 26 degrees celcius) play a role, but also tides, salinity levels and day length can also affect the timing. 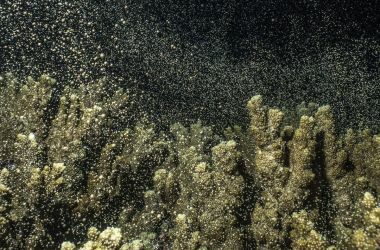 Spawning happens two to three hours after sunset, which scientists believe is timed to ensure most of the plankton feeders are asleep, creating a greater chance of pollination for the corals. And it’s romantic too! This simultaneous mass spawning of corals on the Great Barrier Reef was first scientifically observed by several marine biologists in 1981. Thanks to Pro Dive Cairns' Arek Mszyca for the wonderful photographs taken at our Gordon's Mooring site at Flynn Reef, 7 December and to Satoshi Kajimoto for the video footage taken during the November spawn event. 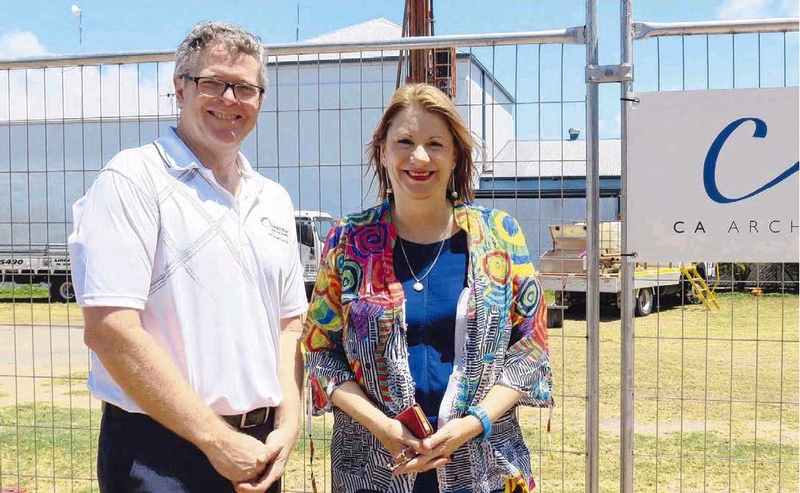 This December we bid a fond farewell to our long serving Group Director of Sales and Marketing, Michael Healy, as he embarks on a new chapter representing our city as the elected Member for Cairns in Queensland’s State Parliament. 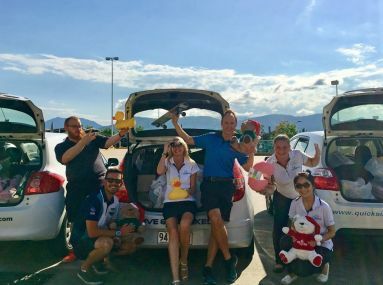 After a collective 17 years with Quicksilver, Michael’s passion and energy, (and stories ) will be greatly missed by his work colleagues and many tourism industry friends and colleagues all around the world. We know he will be a strong voice representing our wonderful city and a lifelong advocate for the magnificent Great Barrier Reef. Happy Days! 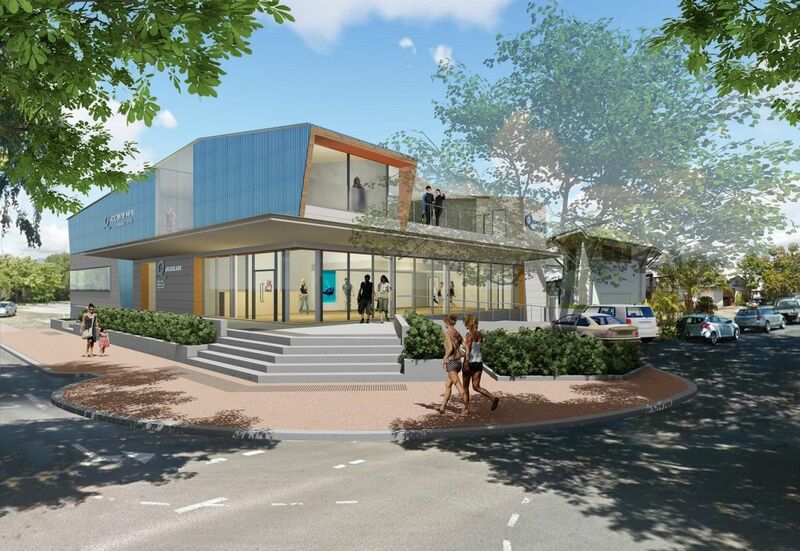 With the breaking of ground on 11 October, construction of our exciting new $3.8 million Quicksilver Dive Centre in Port Douglas is underway! The anticipated opening date is July 2018 and the diver training facility will be able to accommodate up to 48 students each week, initially specialising in PADI 4 Day Learn to Dive Courses and Refresher Courses. The 4 Day Learn to Dive Course will combine the excitement of learning to dive with completing training dives on the renowned Agincourt ribbon reefs. Days 1 and 2 will be spent at the training centre for academic and pool training skills, while on days 3 and 4 students will travel aboard one of our adventure dive vessels, Silversonic or Poseidon, to complete their training dives to become a certified diver. Silversonic and Poseidon have access to over 30 quality dive sites at the Agincourt ribbon reefs – a truly amazing place to learn to dive! 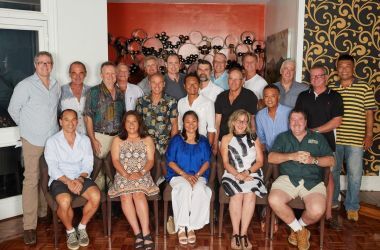 Quicksilver Group Managing Director Tony Baker, said the Quicksilver Dive Centre will complement our award-winning range of Great Barrier Reef experiences and provide new opportunities for travellers and the learn to dive market staying in Port Douglas. The Quicksilver Dive Centre is Port Douglas’ first dedicated learn to dive centre and the second for the company alongside our Cairns based Pro Dive Cairns 5 Star PADI diver training centre. 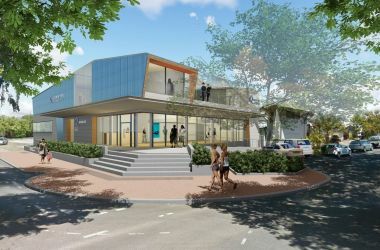 The two-storey training facility features a uniquely designed four metre deep swimming pool with glass viewing wall, classrooms, retail area and office space. Amazing, wonderful, beautiful, fantastic, excellent! That’s what our guests are saying and we think you’ll agree! We’re delighted to share underwater vision and guest experiences with dive and snorkel vessel Silversonic visiting the renowned Agincourt ribbon reefs. This beautiful vision was captured during a day trip to sites at The Point, Nursery Bommie and Pavona. With a selection of over 30 exclusive World Heritage Agincourt sites, Silversonic visits three different reef sites daily, each chosen to suit the day’s conditions and ecological diversity. 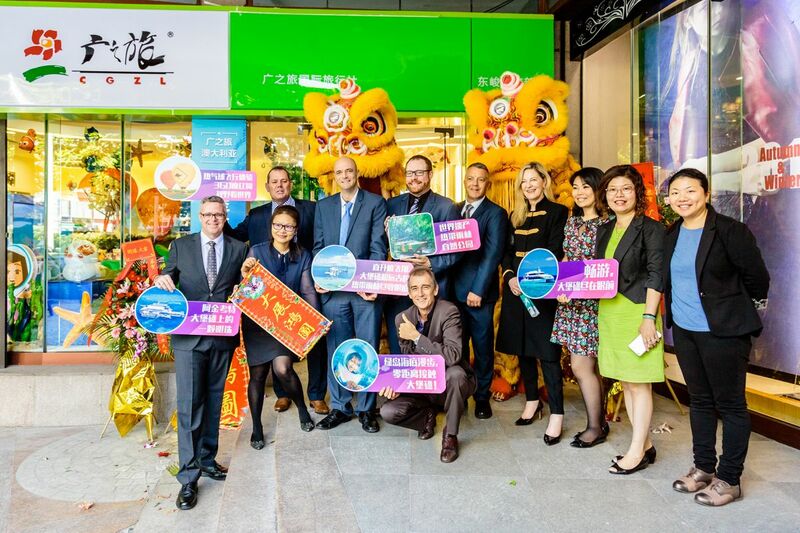 Ten years after the opening of first Cairns & Great Barrier Reef themed travel shop in mainland China, the Quicksilver Group led China Sales Group has opened the 17th branded shop in Guangzhou. Fittingly, this shop was opened with the inaugural partner, leading Chinese travel agent, GZL International Travel Services. It’s a remarkable milestone for what started as a bold marketing initiative recognising the growth potential of the Chinese outbound tourism market and since supported by Tourism Australia, Tourism Events Queensland and Tourism Tropical North Queensland. Adding to the celebrations, new direct flights with China Southern Airlines are now operating three direct services a week between Cairns and Guangzhou. Hainan Airlines have also commenced twice weekly direct flights from Shenzhen. Celebrating the opening on 20 October with GZL executives and members of the China Sales Group included the Quicksilver Group’s Tony Baker and Asian Sales Manager Catherine Wang, Mark Slater Deputy Consul-General, Evelyn Xie of Tourism Australia, Charley Shen of Tourism and Events Queensland, Clayton Priddle of Hot Air Ballooning, Karl Kuhle of Seawalker Green Island, Ben Woodward of CAPTA, Tricia Cornelius of Accor Hotels, Chris Cooper of GBR Helicopters and Laurel Zhang of Kingfisher Bay Resort. Being a leader of environmental sustainability, the Quicksilver Group is continually seeking to improve environmental performance and ultimately the preservation of the Great Barrier Reef Marine Park. From reducing carbon emissions and implementing renewable technology such as solar power on Green Island, we are also working toward phasing out plastic consumables across our operations where possible. 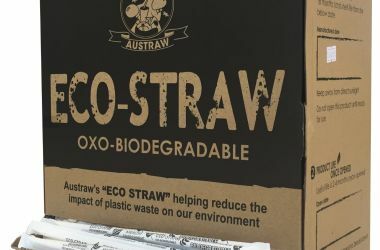 Onboard our vessels, plastic straws are no more! 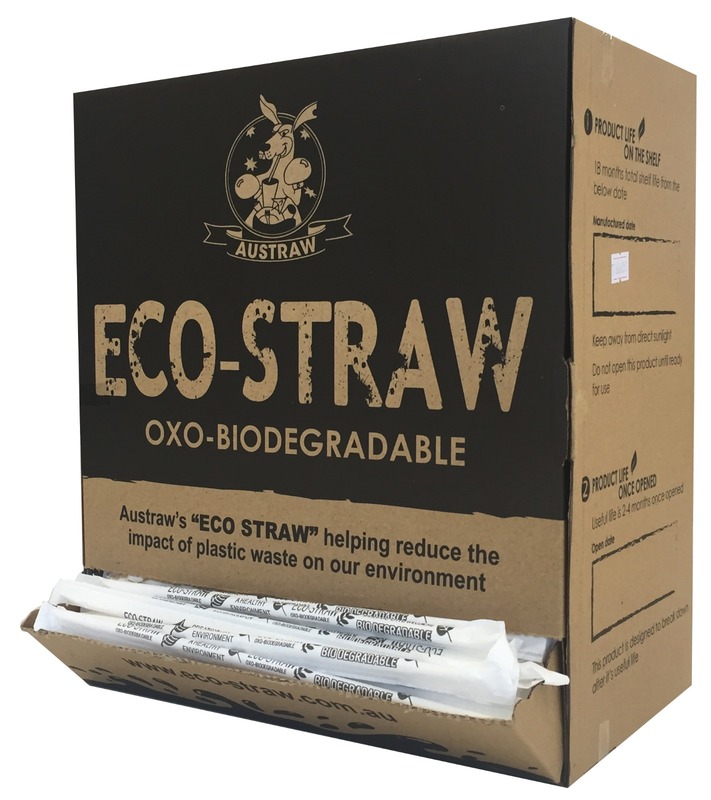 Instead, if straws are required, a biodegradable eco-straw will be available. Once used, these innovative straws start to breakdown in the presence of oxygen, the same way as a leaf. 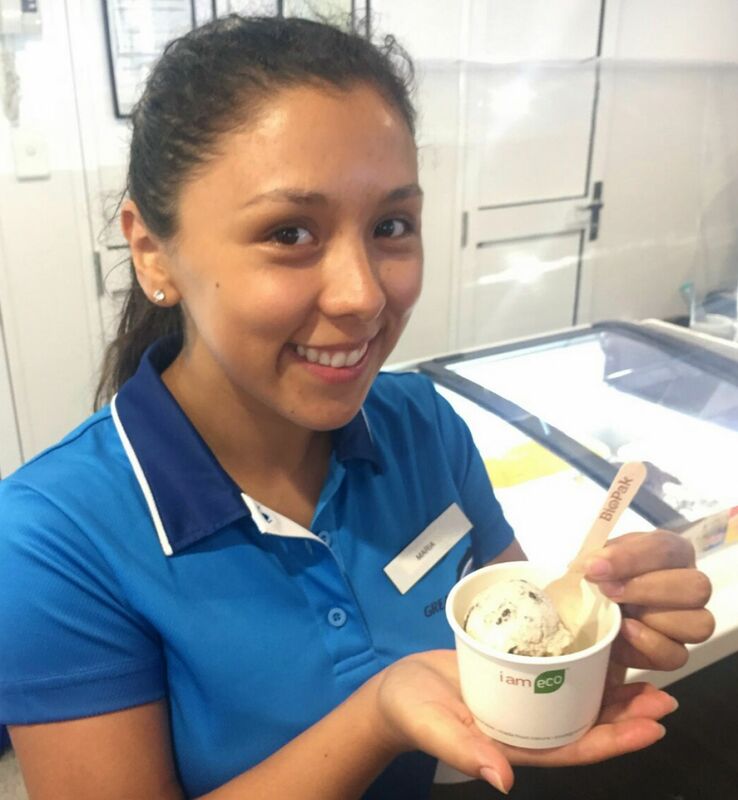 No plastic spoons are used for tea and coffee service, only metal utensils are used, and icecream scoops are served with a biodegradable wooden paddle spoon and paper cups. Even re-usable waterproof bags have been introduced to replace plastic wraps once used to protect cutlery trays. The 20 Year Club - celebrating 616 years of service! We're celebrating the achievements of another nine staff entering our “20 Year Club”, each receiving special recognition for their long term dedication to our company. Across the Quicksilver Group, 25 staff have over 20 years of continuous service and a phenomenal combined 616 years of experience! 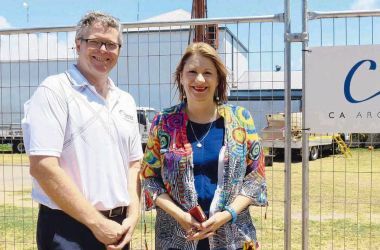 Quicksilver Group Managing Director Tony Baker said the dedication and passion of its staff is at the foundation of the company’s continued success. Over the years, many staff have grown with the company and it's important to recognise the contributions they have made across all sectors of our business. Joining the 20 Year Club this year are Brad Andersen, Purchasing Manager; David O’Brien, Marine Biologist; Hiromi Iwasaki, Quicksilver Dive Services; Kenji Inai and Hideki Ando Great Adventures Dive Services; Howard Field Great Adventures Marine Operations; Erika Larsen, Quicksilver Marine Biologist; Paul Kilpatrick, Boilermaker Quicksilver Workshop and Mark Forster, Quicksilver Coach Driver. Spanning our company of 650 local staff, we're very proud to have so many long term employees in our Quicksilver Group family. 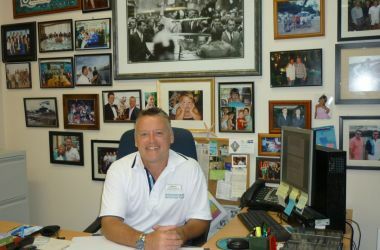 In addition to our 20 year club, more than 100 staff have over 10 years of continuous service. 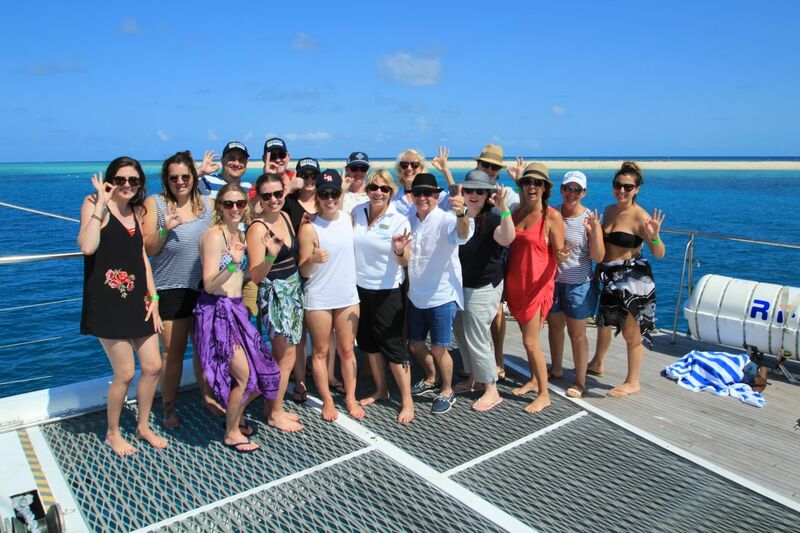 As part of the annual Sell TNQ event held in Cairns for meeting, event and incentive planners, we were delighted to showcase the wonders of the reef with Ocean Spirit’s cruise to pristine Michaelmas Cay. 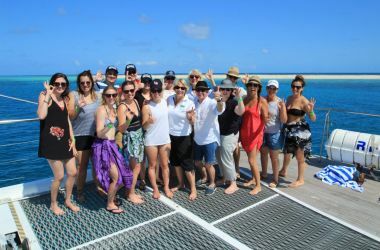 Fifteen event planners from across New Zealand and Australia soaked up the beautiful Tropical North Queensland weather, enjoying snorkelling, semi-sub tours, introductory diving, marine biologist guided snorkel tours and of course lazing on the beach and decks of Ocean Spirit. Pictured onboard Ocean Spirit with Megan Bell, Quicksilver Group Business Events Manager. School’s out and it’s on Low Isles! 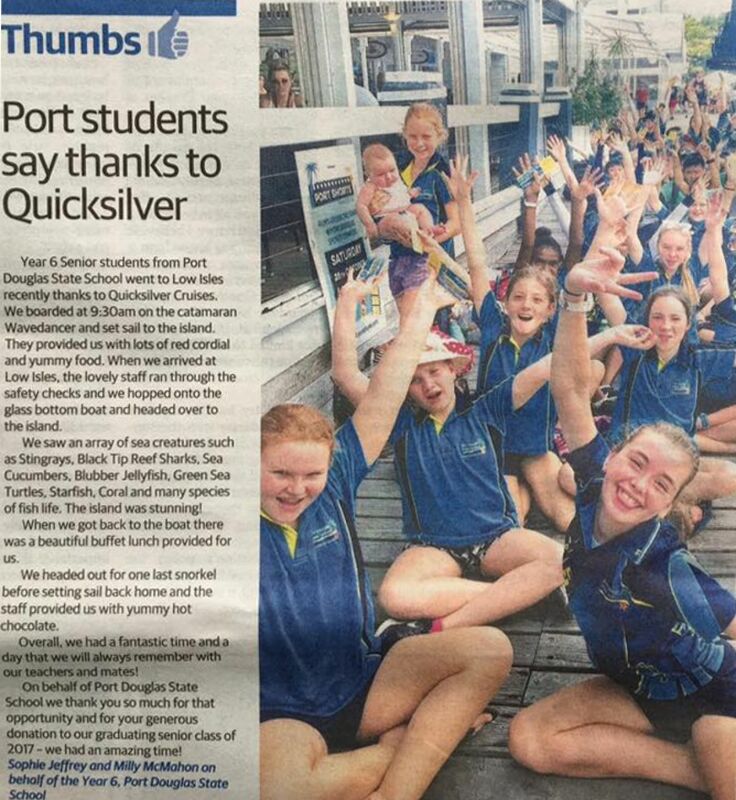 A complimentary trip to Low Isles aboard our sailing catamaran, Wavedancer, has become a much anticipated end of year tradition for graduating students at local Douglas Shire primary schools. Over the course of two days, around 190 students, teachers and parents were treated to a special day out to beautiful Low Isles for fun, snorkelling and learning about the Great Barrier Reef. 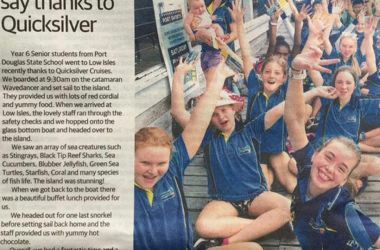 Quicksilver Group Business Events and Media Manager Megan Bell said, “The cruise provides an opportunity for the children to gain a better understanding of the Great Barrier Reef and its environment, as well as the role we play living in a World Heritage area. Since the 1980s, the annual excursion has become a tradition for Quicksilver, students, teachers and parents alike. It was a pleasure to have Star 102.7FM radio hosts Dave and Inkie broadcast their breakfast morning show live from Green Island. Naturally, attire was bathrobe and sarong for some on-air antics, as you would expect for a tropical island resort broadcast! We were delighted to welcome Sam Mac and the Weather Crew from Channel 7's Sunrise Breakfast TV show to beautiful Green Island and Green Island Resort. Joining Sam on air was our environment guru Doug Baird. Get out of the kitchen this Christmas and spoil your family or someone special with a sumptuous buffet lunch at Green Island Resort’s Emeralds Restaurant on the Great Barrier Reef. A Great Adventures fast catamaran will whisk you away so you can kick back and relax knowing all the hard work (and the dishes!) is done for you by the resort's talented kitchen brigade. The buffet of fresh seasonal produce, seafood and traditional delights includes a two hour drinks package. Your day also includes the choice of a glass bottom boat tour or snorkelling. Seats are limited and bookings essential, call Great Adventures on 4044 9944. Sincere thanks to all of our wonderful industry colleagues, suppliers, staff and friends for helping to make our annual Quicksilver Group Christmas Charity Appeal one of the best ever! 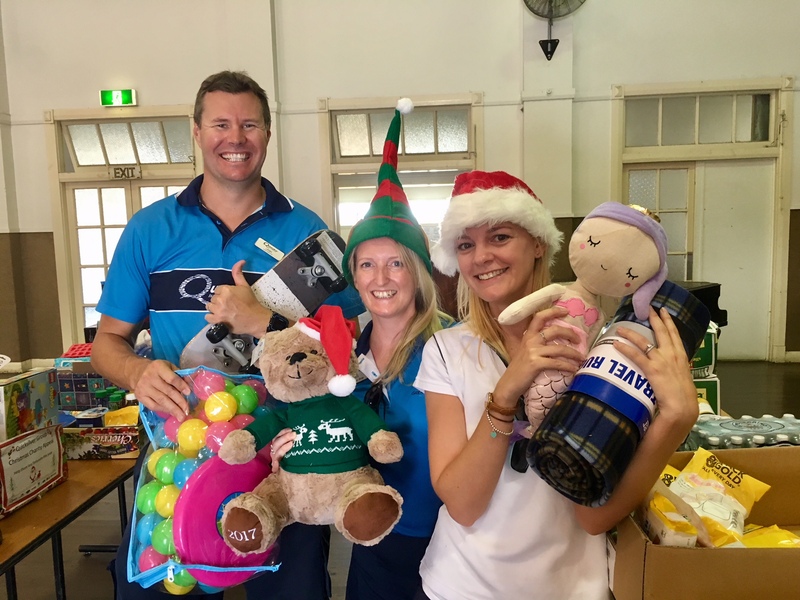 In the spirit of giving we were able to donate around $10,000 of food and gifts for local charities St Vincent's de Paul, the Salvation Army and the Douglas Shire Community. All donations are distributed to local families and individuals to help bring a brighter Christmas to those in need. Our annual charity appeal is now in its 14th year and brings out a fantastic sense of community spirit for all involved. 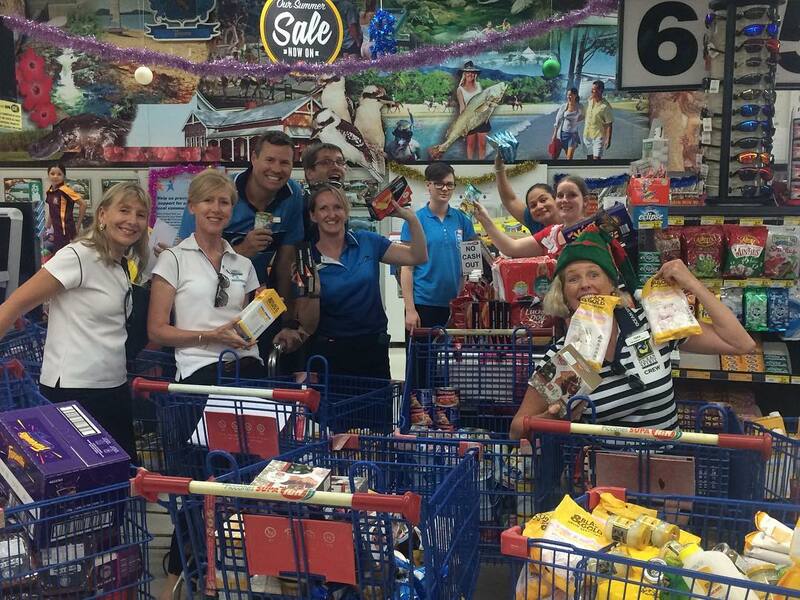 In addition to donations received, our Sales and Marketing team shopped up a storm for food and gifts with special thanks to the staff and check-out operators at IGA Piccones Pease St and KMart Cairns who were kept very busy! 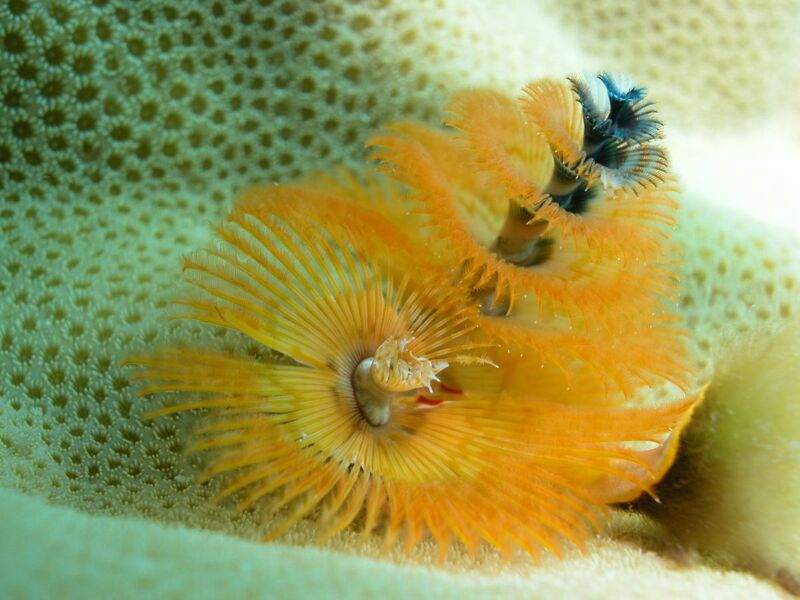 Our favourite worm at this time of year is the fanworm or more commonly known as the classic Christmas tree worm. These polychaetes create a tube made of limestone or grainy particles that increase in length as the worm grow. The two fans they extend into the water column are mucus lined and multi-purposed in that they collect fine particles to feed on and also extract oxygen from the water. When danger approaches, the fans are quickly pulled into the chamber and a hard cover (called the operculum) is pulled over the top like a trap door. The colours of these fans range from orange and yellow through to blue and white, reminiscent of many different coloured Christmas decorations! 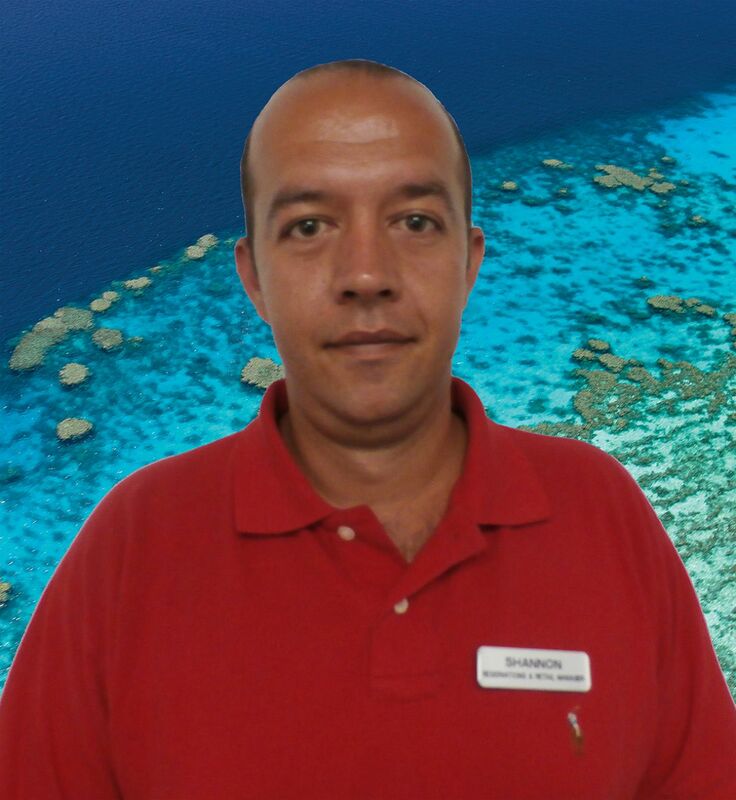 We’d like to welcome and introduce you to our new Cairns Reservations and Retail Manager, Shannon Jansz. 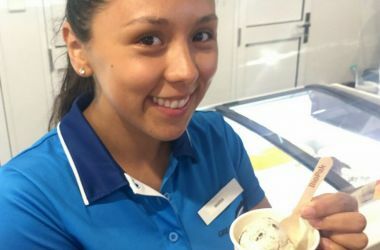 Shannon oversees the reservation team for our Cairns based products - Great Adventures Outer Reef and Green Island Cruises, Ocean Spirit Michaelmas Cay Cruises and Silverswift dive and snorkel adventures, in addition to our Cairns and Green Island retail outlets. 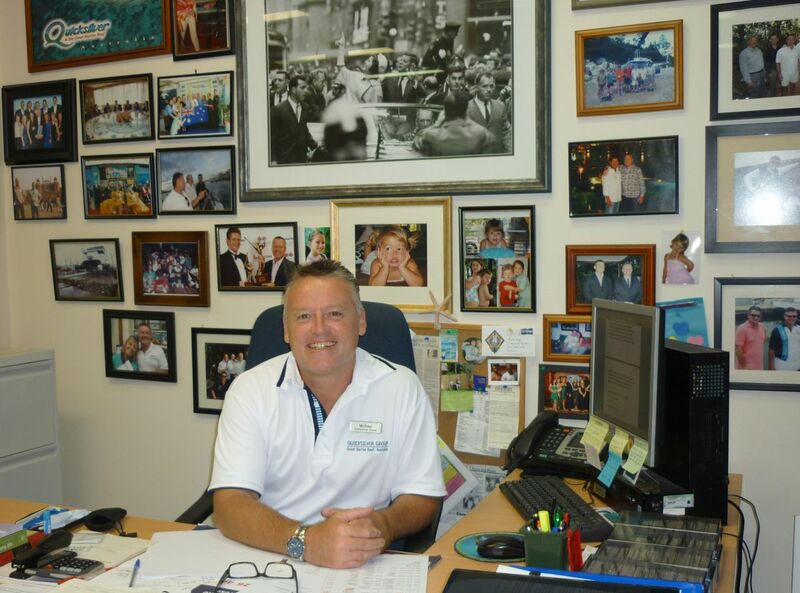 Shannon brings over 15 years of experience in the hospitality industry and joins us from his previous role at the Cairns Plaza Hotel. 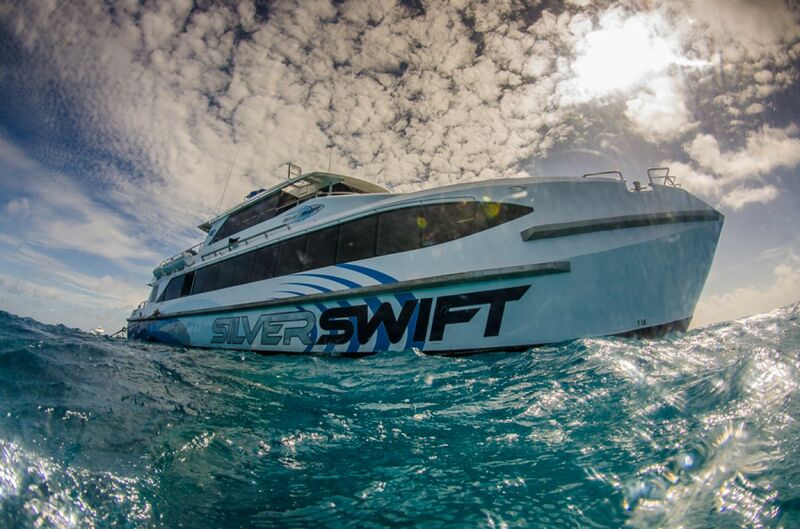 Silverswift - Diving the GBR, a Bucket List item checked! 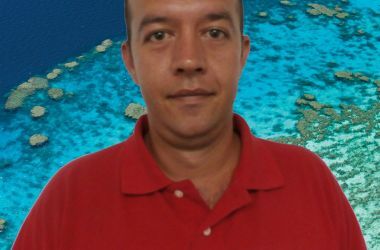 Diving the Great Barrier Reef has been a lifelong dream of mine since I started scuba diving 37 years ago. Getting to do it with one of my sons just made the dream so much better. Sliverswift's awesome staff and our dive guide, Instructor Sean, made my dream come true with an incredible day of outstanding diving on the Great Barrier Reef's Milln, Flynn and Thetford reefs, and the "Fish Tale," "Gordon's," and "Roscoe's" dive sites, respectively. As a former diving instructor and professional marine archaeologist with over 2,000 dives under my weight-belt, I know the difference between good and great dive leadership, and Sean and the Silverswift operation provided us with a great, safe, first-rate experience. I highly recommend Silverswift as a high-quality dive operation. Green Island Resort will be closed from 9-23 February inclusive for annual maintenance. 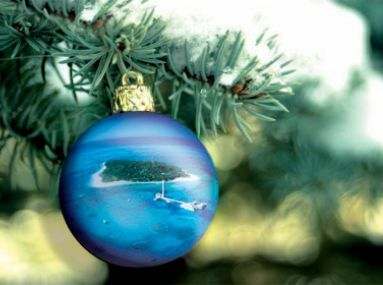 Christmas Day Operations: The following day cruises will be operating as normal on Christmas Day: Quicksilver Outer Reef Cruise, Great Adventures' Great Barrier Reef Adventure, Green Island & Great Barrier Reef Adventure, Green Island Eco Adventure and Green Island Discovery. Please note that the two course lunch and a la carte options at Green Island Resort's Emeralds Restaurant on 25 December will not be available due to the special Christmas Day Lunch Buffet. Lycra Suits: Lycra suits are included across our Great Barrier Reef experiences with the exception of Green Island day cruises, in which case if required, can be hired from the Dive Shop.